While restaurant goers are still ultimately seeking the same qualities to receive a positive dining experience, the internet and technology has fundamentally changed how consumers are behaving and their decision making processes. Consumers now have more choice, communication channels, and access to information all readily available at their fingertips. Review websites enable would-be diners to read feedback from real customers, and social media platforms such as Snapchat or Instagram can give people a taste of what to expect without even having to step foot in the establishment. 1. Collect customer data Collecting customer data is crucial to open up communication channels between F&B outlets and customers. Email addresses or phone numbers can be obtained by requiring users to enter their details to gain access to free wi-fi, asking for details after a transaction has been completed, and when customers call to make a reservation or book online. 2. Communicate with customers Email newsletters and SMS make excellent direct response channels, and can be used to inform customers about special offers, new menus or events. Social media platforms are a great way to engage with your customers that help to build your brand and remain front of mind. Effectively communicating with your customers can help to increase frequency of visits and boost profits. 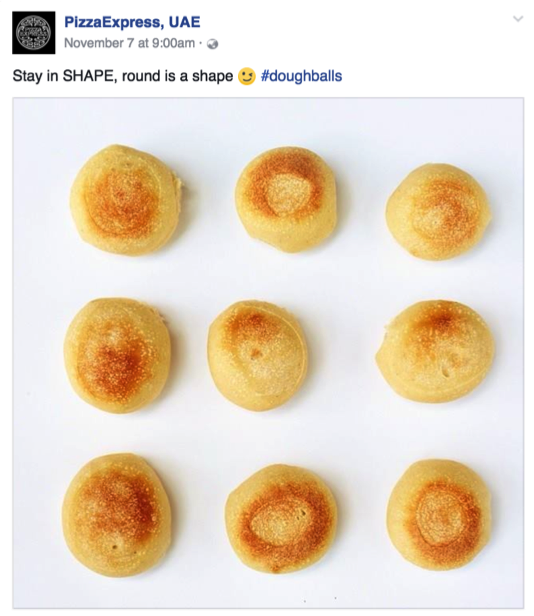 Pizza Express UAE make great use of social media to stay engaged with their customers. 3. Listen to customers The internet has amplified people’s voices, and word of mouth marketing is more powerful than it has ever been before. People are talking on Facebook, Instagram, Snapchat, Trip Advisor, Zomato, etc. Customers are your biggest influencers, so it’s vital to listen to what they are saying. It’s important to enhance word of mouth conversations for those that have positive experiences and to mitigate or resolve instances for those that have had a negative experience. Assess customer satisfaction Customer satisfaction is the key to ensure customers remain loyal and that F&B outlets earn their repeat custom. However, measuring customer satisfaction is still overlooked by many. Customer satisfaction data can be collected and measured by implementing a Net Promoter Score (NPS) survey. NPS is a score which can help to gauge a customer’s loyalty towards a business. Companies that achieve long-term profitable growth have a Net Promoter Scores two times higher than the average company. Collect customer feedback Collecting customer feedback can help businesses to identify problem areas or issues that can be addressed. Used strategically it can also be used to generate positive reviews on third party websites, while ensuring negative feedback is only passed back internally. Encourage social media sharing Many are now using Instagram or Twitter as search engines to find pictures of food and to get a real idea of what is to be expected from legitimate customers. Photography on these social media platforms is becoming increasingly important. Encourage users to share their photos by having visual cues or prompts within the customer’s surroundings or by holding competitions. 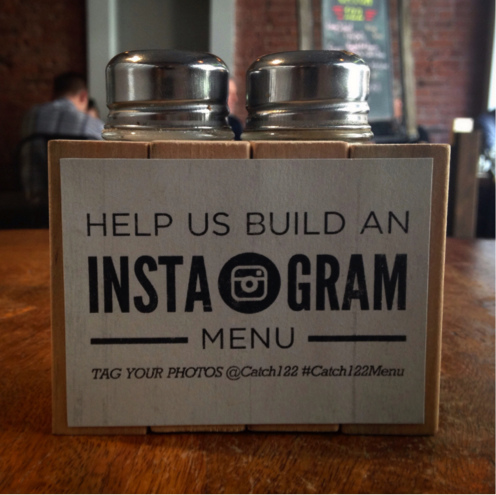 Catch122 encourage users to tag their photos on Instagram, the restaurant uses the photos to create their own user generated visual menu. 5. Be easy to find online If people are searching for your business, you’ve already done all the hard work to make sure that people know who you are. It’s a frustrating experience for users if they can’t find your website, phone number, or your location, and it can result in lost sales. Don’t fall down at the last hurdle, make it easy for users to find you on search engines such as Google by ensuring you rank organically for your brand name, or by investing in Google Adwords.